Like most of you we are a family with many technological devices. We have computers, I-pads, notepads, kindles, cell phones, etc - you know. With all these devices there is a problem of charging them in a dedicated spot. 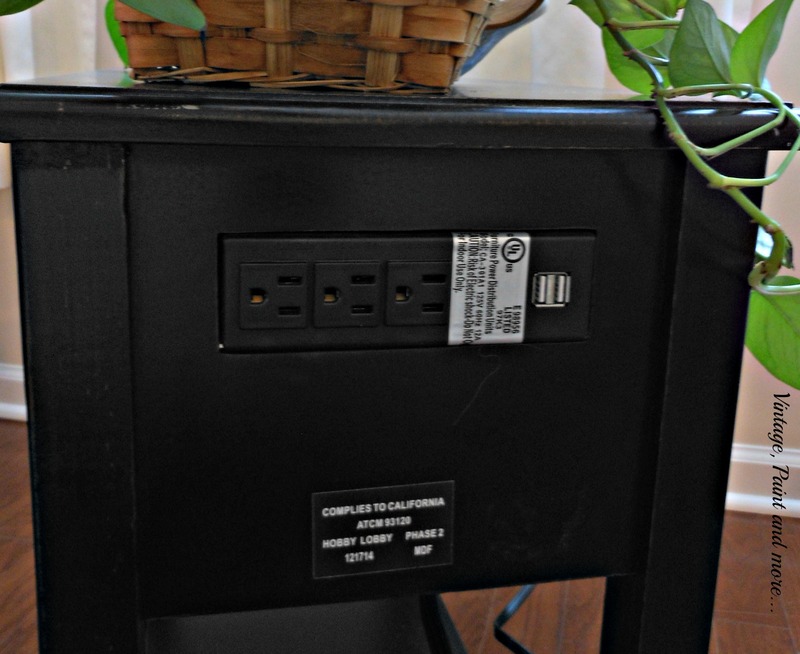 I have tried charging stations but they get in the way and a lot of times I find these devices just plugged in wherever the owner happened to be and there was an electrical socket handy. One day I found a cell phone dangling from a socket in the dining room - really? For Christmas we received this cute little lifesaver of a table as a gift. It's dark brown, slightly distressed and very compact. It fits perfectly with the style of family room. Isn't it cute. 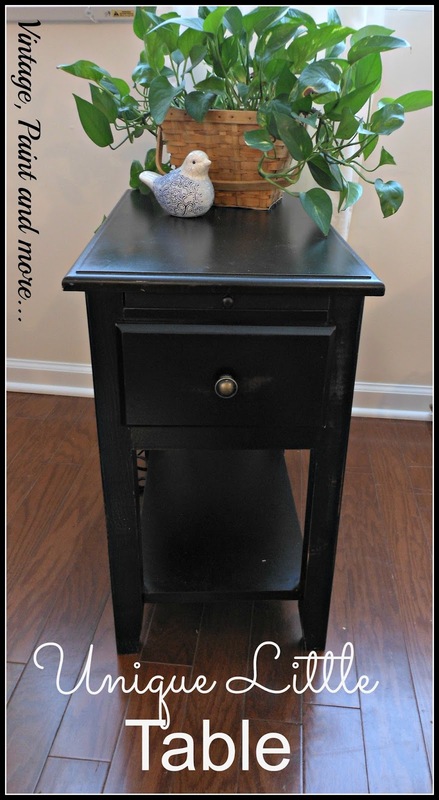 It has one drawer and nice little slide out extension to the table top. Such a little work horse with all these functions. But, the coolest function of all is the one found on the back of it. Can you believe it has a built in electrical plate with three areas for three-way plugs and two USB ports. Now how absolutely awesome is that? 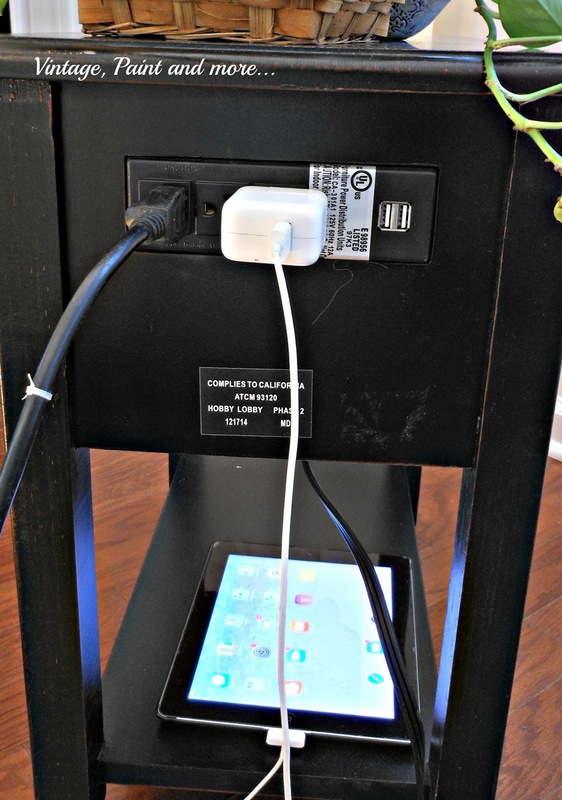 You can plug in a lamp and your I-pad and something else at the same time. You can actually place your I-pad or phone in the drawer and run the cord out the back to the plug ins so there are no dangling cords. I did it this way so you could see it. 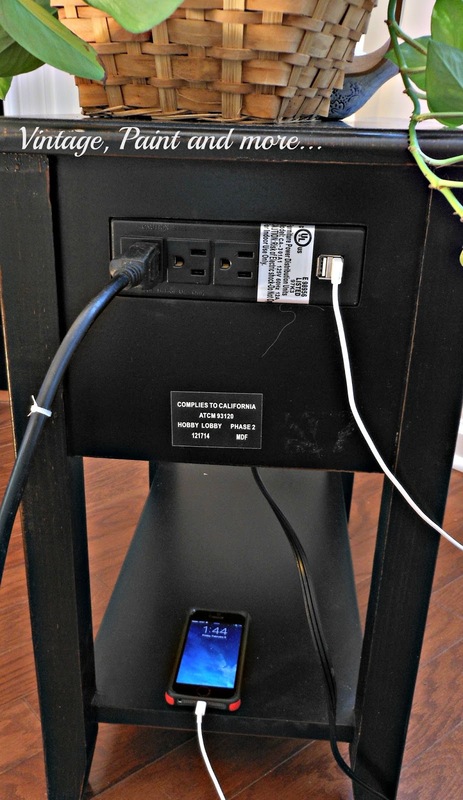 You can also plug your devices with USB plugs right into those outlets and save your three way plug-ins for other things. I love it because I can charge my I-phone, I-pad and laptop all at the same time and still have a light plugged in. Now how cool is that! 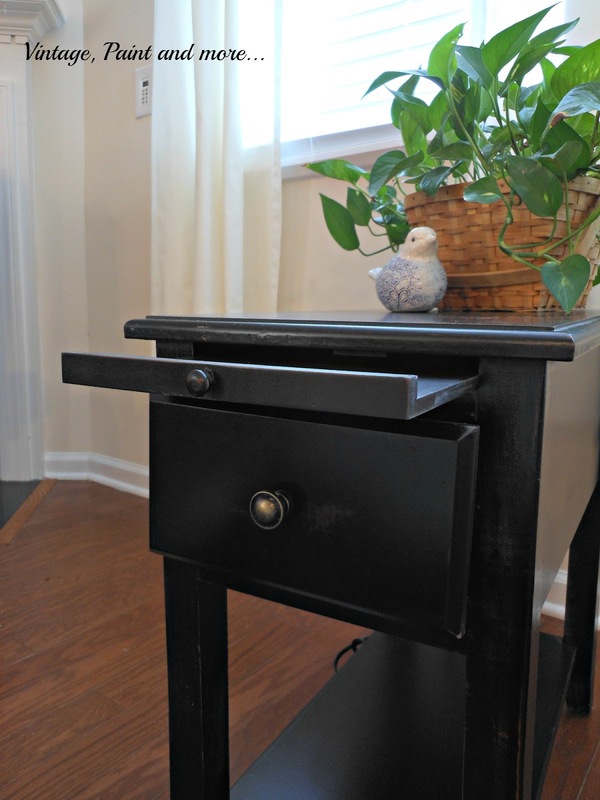 Such a perfect little workhorse of a table. 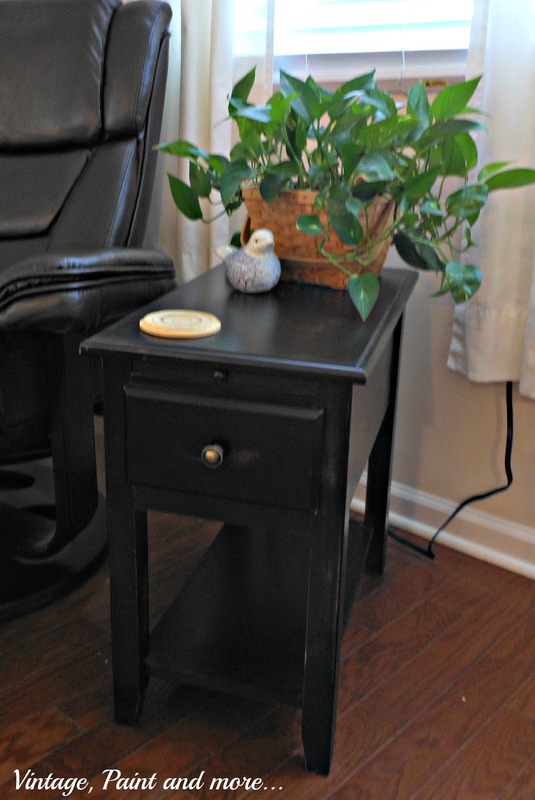 A nice size table top with a shelf, a drawer a table top extension, three three-prong plug ins and two USB ports. What else could you want in a table? I am loving it! Am I the only one who has never seen one like this? I would love it if you would tell me about it in the comments below. Thank you for stopping by. Have a great week and create something you love. What a great table! I'm like you, I find chargers and phones plugged in around the house and the cords are so short! This is great! Thanks for sharing at Something To Talk About! Wow! I love this! It's the perfect size and has everything you need. I like that it also keeps the cords more discrete! Thanks for sharing! That is so cool! I really need one for beside my bed. so where is the table from?! Love it! Love that it has the chargers. I need something like that! Thank you so much for sharing this on the Brag About It link party! That is a great table. I love it. My night stand is set up like this too. I love it. 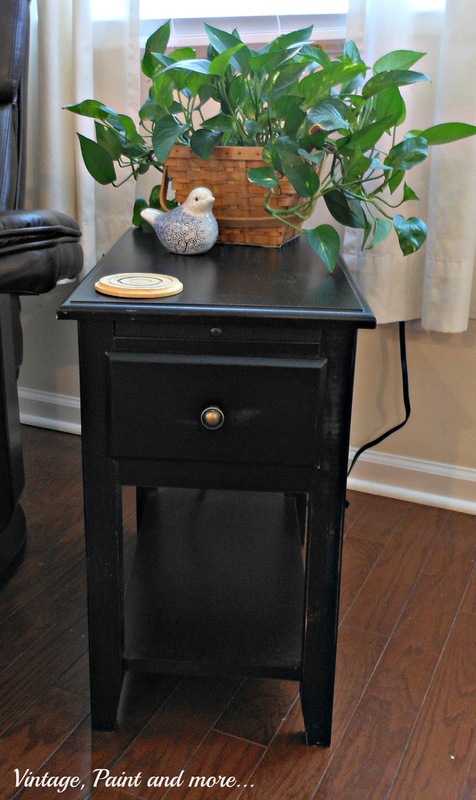 What a jewel of a table Cathy! I have never seen one like it. Hate those cords!! lol! Thanks for sharing with SYC.